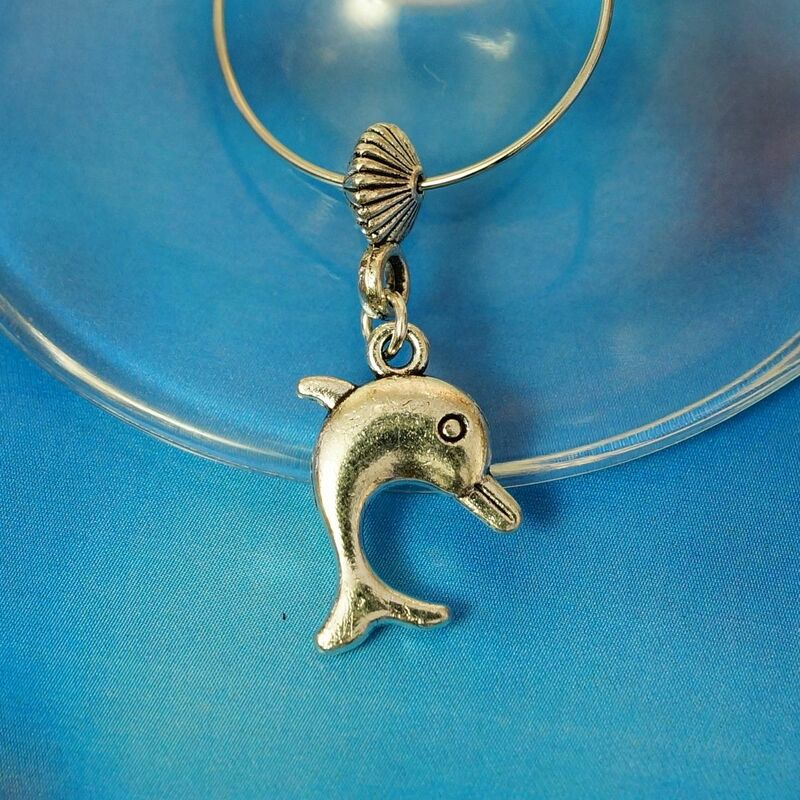 Make a splash at your next party or bbq with this Dolphin Wine Glass Charm adorning your wine glass. You'll never lose your wine glass again with everyone talking about how incredible dolphins are. The charm is 15mm L x 3mm W x 20mm H. This dolphin is made from Tibetan silver and made into this beautiful wine glass charm here in Australia. Dolphins are incredible animals and are very social. Did you know the largest dolphin is actually the Orca – the killer whale? Dolphins are warm blooded mammals that breathe air and they give birth to live young. There are 14 different species of Dolphin found in Australian waters.